Saturday, April 13th, Pi(e) Day Potluck We’ve rescheduled! April 13th. 4.13. A bit mixed-up, but it’s pie, not parfait, so who cares, really? Walk starts at 5:00, run at 5:30 PM. And then back to the farm where we’ll be dishing pies at 6:15 PM(ish). Bring your favorite pie (savory or sweet!) and your friends/neighbors/kiddos. Please dress for the weather. Looking forward to celebrations of community, good food, and funny numbers with you. Thursday, March 14th, Pi(e) Day Potluck Postponed! Please stay safe and warm, we’ll reschedule when it’s not so crazy blizzardy beautiful out there. Saturday, March 9th, 6th Annual Spearfish Seed Swap and Gardeners’ Social. 10:00 – 4:00 PM at the Spearfish Public Library community room. Come one, come all! Bring your seeds. Bring your friends. Bring your friends’ seeds! This is a chance to get together with other local growers, share seeds, stories, and ideas. The seed swap is a free event, everyone is welcome. Even if you don’t have seeds to swap, please join with friends and neighbors for an afternoon of gardening camaraderie. In addition to sharing seeds, we’ll have presentations by local gardeners, and activities for young (and young at heart) seed enthusiasts. Sunday, February 17, a wintertime Farm Book Club get-together, 5:00, potluck. It was such great fun the first time, let’s do this again! Do you want to read a book with us this winter?! One of our favorite parts of growing vegetables is the amazing, thoughtful and engaged community of farm customers we get to interact with. In an effort to bring members of this group together and to keep in touch over the winter, we are planning a farm book club. Not a traditional “book club” book club, our thought is just read one book, Braiding Sweetgrass by Robin Wall Kimmerer. We’ll be getting together at our place, please bring along a dish to share and certainly feel welcome to come even if you haven’t made it all the way through the book. Also, please let us know if you are planning to attend. Sunday, October 21, Annual Harvest Party, 2:30-5:00PM. Wowzahs – what a season! This calls for a celebration – come one, come all! Join us on the farm for an afternoon of community and conversation, tasty nibblets and merrymaking. We’ll have delectable farm fresh snacks, including a bucket of apples to press for fresh cider, a flight of garlic to taste test -including two new this year varieties. Thank you for being a part of the farm, we hope you can make it out on Sunday! Dress for the weather, bring your friends and family, but please leave your good, sweet dog(s) at home. And, if you can, ride your bike, parking is limited and bikes are way cool. Sunday, September 9, 2:00-4:00PM, Poetry Tour – again, but this time without snow on the ground! This will be open house style, come whenever fits your schedule. It takes about 45 minutes to complete the tour, longer if you’re the lingering type. This is a great opportunity to see the late summer farm, lush and colorful. This is a free event. Poetry tour guide books will be available (to take home, treasure and keep forever and ever) for a suggested donation ($2-3) to help cover the cost of printing. Saturday, July 21, 8:30-11PM, Moth Party in observance of National Moth Week. Come join us on the farm for a special late night Moth Party to attract, appreciate, and celebrate our Lepidoptera friends. We’ll have white sheets up, lights, and other moth attractants. Starting at sunset, 8:30(ish). We’ll have treats. Bring a hand lens, macro lens, and your favorite moth identification book. And bring the kiddos, it’s not a school night and they won’t want to miss this. Oh yes, and wear your woolies. Sunday, July 15, 4:00PM – dusk, Plein air painting We have found a strong and important parallel between art and agriculture, both sharing in physical, cultural, and spiritual engagement with the environment. Local farms and art contribute to a greater sense of community and making of a place. Farmers and artists are craftsmen, creating and re-creating, feeding bellies and souls alike. Come experience all the colors of the farm; flowers and fruits of the season. Bring tools and materials, your choice, and set up for art on the farm. ALSO! SPOONS! We’re excited to host Rodger Lee as he shares a green woodworking, spoon carving demonstration during the evening; he’ll be sharing his experience and know-how regarding tradition and woods, tool and technique. Join in on creative camaraderie, sharing ideas and inspiration. We’ll have snacks to share. Please dress for the weather. Sunday, June 24, 2:00-4:00 PM – Farm Tour Dear Farm Stand Family and farm friends, we cordially invite you to join us for an afternoon farm walk. This will be a great chance to see how things are growing, get to know you farmers, and ask questions. The poetry tour guides will also be available for self-guided reflections. We’ll have some light, farm fresh refreshments to share. Come ready to coo-chee-coo the lambs – they’re looking forward to seeing you. Small farmers, foodies and farm-curious folks are invited to take part in gathering to swap planting tips and talk rural life over beer and local catering. SoDakGrown is half party and half knowledge exchange. And it’s entirely about face-to-face connections, for foodies and agrarians looking to mingle. Farm Dreams is a four-hour workshop designed to help people clarify what motivates them to farm, get their vision on paper, inventory their strengths and training needs and get perspective from an experienced farmer. This workshop is being conducted by Randy Holmquist, a Holistic Management International Certified Educator. Come by the farm Saturday afternoon for a farm tour and stay to get your hands dirty making soil blocks and seeding out trays. Sunday, April 8th, 2:00 PM – A Poetry Tour of the Farm. In celebration of poetry and in concurrence with National Poetry Month we are introducing our Farm Poetry Tour, a walking tour of the Farm accompanied by poems for selected locations. Why a poetry tour? We have assembled this tour as a fun way to share the farm and our farming practices. The farm is a busy spot with lengthy to-do lists, having poetry scattered about encourages reflection and thought. We love to share the farm, to help build connections between people and their food. And to build connections between people. Art and poetry provide a platform for shared experience, and with shared experiences we have something in common over which we can relate. Each poem is followed by a few of the many reasons why we are excited about it and have chosen to include it on the tour. We look forward to spending a full year with these poems on the farm and sharing them with you. Wednesday, March 14th – Pi(e) Day Potluck and 3.14 mile walk/run at the farm. An annual celebration of all things delicious and irrational! Walk starts at 5:00, run at 5:30 PM. And then back to the farm where we’ll be dishing pies at 6:15 PM(ish). Bring your favorite pie and your friends/neighbors/kiddos. Please dress for the weather. Sunday, March 11, 5th Annual Spearfish Seed Swap and Gardeners’ Social. 1:30-4:30PM at the Spearfish Public Library community room. Come one, come all! Bring your seeds. Bring your friends. Bring your friends’ seeds! This is a chance to get together with other local growers, share seeds, stories, and ideas. The seed swap is a free event, everyone is welcome. Even if you don’t have seeds to swap, please join with friends and neighbors for an afternoon of gardening camaraderie. In addition to sharing seeds, we’ll have presentations by local gardeners, and activities for young (and young at heart) seed enthusiasts. Sunday, February 11, 3:00 PM, a wintertime Farm Book Club get-together. Do you want to read a book with us this winter?! One of our favorite parts of growing vegetables is the amazing, thoughtful and engaged community of farm customers we get to interact with. In an effort to bring members of this group together and to keep in touch over the winter, we are planning a farm book club. Not a traditional “book club” book club, our thought is just read one book, The Third Plate by Dan Barber. We’ll be getting together at our place, with snacks, treats, and refreshments for nibbling and sipping. It’s a girthy read, so please feel welcome to come even if you haven’t made it all the way through the book. Also, please let us know if you are planning to attend. Every Saturday, April through October, farm stand market, 9:00AM-noon. Fresh from the field seasonal vegetables, herbs, eggs, handmade crafts – all things from the farm. Stop by and visit with us. Here are directions to the farm stand. Sunday, October 15, Annual Harvest Party, 2:00-5:00PM. So much to celebrate! Community, good food, healthy soils, and friends! We’ll have delectable farm fresh snacks, including a bucket of apples to press for fresh cider, a flight of squash to sample, and a garlic taste test. We’d love to celebrate a good season with you all! Dress for the weather, bring your friends and family, but please leave your good, sweet dog(s) at home. And, if you can, ride your bike, parking is limited and bikes are way cool. Tuesday, September 26, Soil Health Workshop and Cycle Farm tour. 12:45 PM registration at the Spearfish Rec Center, 1:00 PM presentations on soil health, no-till, diversified crop systems, and cover crops, 3:00 PM farm tour. Free and open to the public. We are honored to be a part of this event hosted by Butte and Lawrence County Conservation Districts and SD Soil Health Coalition. Monday, September 11, 5:00PM – dusk, Plein air painting We have found a strong and important parallel between art and agriculture, both sharing in physical, cultural, and spiritual engagement with the environment. Local farms and art contribute to a greater sense of community and making of a place. Farmers and artists are craftsmen, creating and re-creating, feeding bellies and souls alike. Come experience all the colors of the farm; flowers and fruits of the season. Bring tools and materials, your choice, and set up for art on the farm. Join in on creative camaraderie, sharing ideas and inspiration. We’ll have snacks to share. Please dress for the weather. Saturday, August 5, 3:00-5:30PM, Native Pollinator Nesting Box Building Bonanza We’re building habitat for our solitary, wild bees and wasps. Come join us and take home a nesting box to set up in your home garden. Bring a drill, if you have one. We’ll have drills, drill bits of various sizes, and all the necessary wood materials. Please RSVP, so we know how much wood to prepare. Suggested donation of $5-15, but no one will be turned away for lack of funds. All proceeds will be donated to the Xerces Society for Invertebrate Conservation. Saturday, July 15, 8:30-11PM, Moth Party Come join us on the farm for a special late night Moth Party to attract, appreciate, and celebrate our Lepidoptera friends. We’ll have white sheets up, lights, and other moth attractants. Starting at sunset, 8:30(ish). We’ll have treats. Bring a hand lens, macro lens, and your favorite moth identification book. And bring the kiddos, it’s not a school night and they won’t want to miss this. Oh yes, and wear your woolies. Sunday, June 11, 2:00-4:00 PM, Farm Tour Come one, come all. Bring your family and friends, dress for the weather. This will be a great chance to meet new folks, visit with old friends, and get to know your farmers. We’re still early in the season, and most things are still getting established, so this will be a fun opportunity to see how things are just starting out. We’ll have some farm fresh snacks to share and iced herbal teas. We’re looking forward to sharing the farm with you. … Uber delicious Street Tacos with fresh-from-their-farm toppings and wines selected by our in-house Sommelier. We will have our new EE Taco Cart and Grill set up & ready to cook fresh Carne Asada Street Tacos as well as our super tasty Vegetarian Street Tacos and Chips & Salsa. For the wine there will be an amazing Red, beautiful Rose and a refreshing White, all specially selected by our Sommelier to pair perfectly with the food. Food & Drink is A La Carte with no RSVP but checking in here on Facebook and letting us know you are coming is always helpful for food quantity prep. Tacos are $4 & wine prices will vary, sold by the glass and by bottle. Tuesday, March 14th, Pi/e Day Potluck at the farm. It’s 3.14! Come by the farm for a merry potluck feast of pie and a celebration of all things irrational! A fun group run/walk from the farm; walk starts at 5:00, run at 5:30 PM. And then back to the farm where we’ll be dishing pies at 6:15 PM(ish). Bring your favorite pie and your friends/neighbors/kiddos. Dress for the weather. 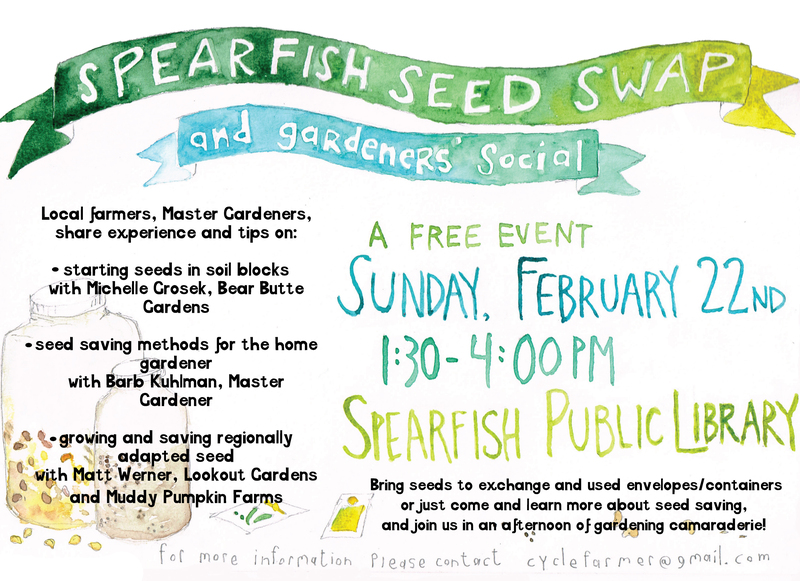 Sunday, February 26, 4th Annual Spearfish Seed Swap and Gardeners’ Social. 1:30-4:30PM at the Spearfish Public Library community room. Come one, come all! Bring your seeds. Bring your friends. Bring your friends’ seeds! This is a chance to get together with other local growers, share seeds, stories, and ideas. The seed swap is a free event, everyone is welcome. Even if you don’t have seeds to swap, please join with friends and neighbors for an afternoon of gardening camaraderie. 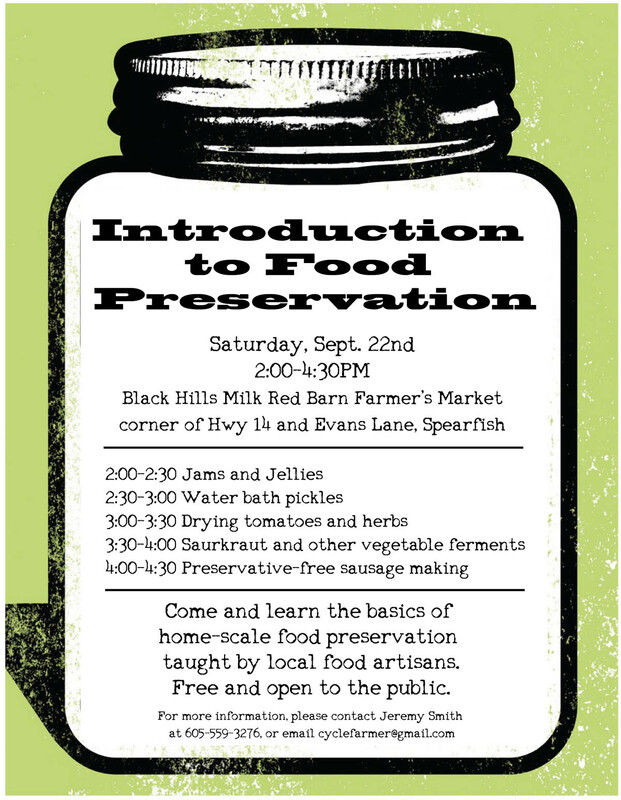 In addition to sharing seeds, we’ll have presentations by local gardeners, activities for young (and young at heart) seed enthusiasts, and BHSU Spearfish Local producer video screenings. Friday, October 14, 4:00 – 8:00PM Fall Harvest Celebration From the bottom of our hearts, thank you all for another good season – without your ready support, boundless encouragement, and ample appetites, it wouldn’t be possible! Come by and make merry with us, bring a potluck dish to share, and enjoy the company of friends and neighbors. We are lucky to have two incredible local musicians joining us for the afternoon, Eliza Blue and Jami Lynn. Dress for the weather, bring your friends and family, but please leave your good, sweet dog(s) at home. And, if you can, ride your bike, parking is limited and bikes are way cool. 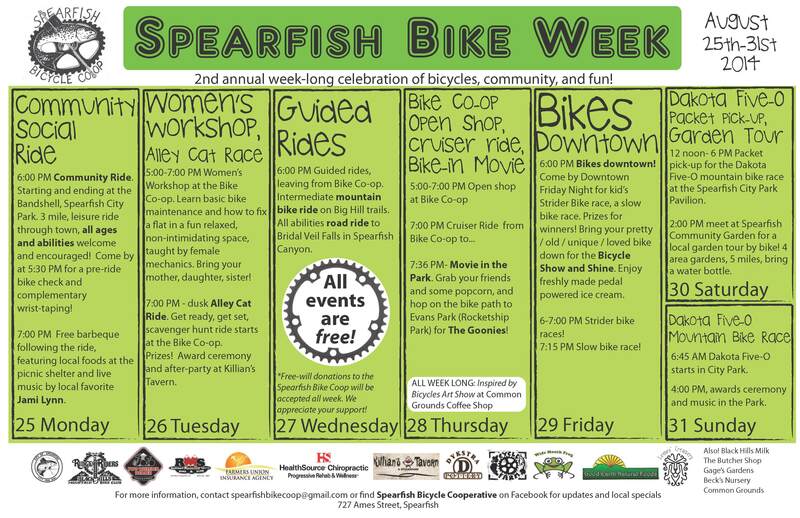 Saturday, August 27th – Sunday, September 4th, Spearfish Bike Week A whole week of bicycling merriment, a prelude to the grand Dakota Five-0 Mountain Bike Race! Saddle up on your trusty steed and pedal out to some fun community rides, workshops and celebrations. There is something for everyone. Sunday, August 14th, Weeding and Feasting, 5:00PM We need help! Unfortunately, the straw mulch we brought in last fall came loaded with weed seed. Our beans and potatoes are in ever increasing need of attention. We’re going to spend the afternoon weeding, come by and join us – it’s way more fun with friends! We’ll plan on dinner at 7. We’ll have lots of food to share. And birthday cake too. Saturday, June 11th CSA farm tour and social. A special farm tour exclusively for our 2016 CSA share members, open house from 2:00-4:00PM, farm tour begins at 2:30PM. This will be a good chance to see how your vegetables are growing, get to know your farmers, ask questions, and to mingle with an incredible group of passionate, engaged, local food and healthy land lovers. Spring Plant Sale – Stop by the farm stand at Cycle Farm, Saturday mornings 9-noon, for flowers, herbs, and vegetable starts to plant in your home garden. 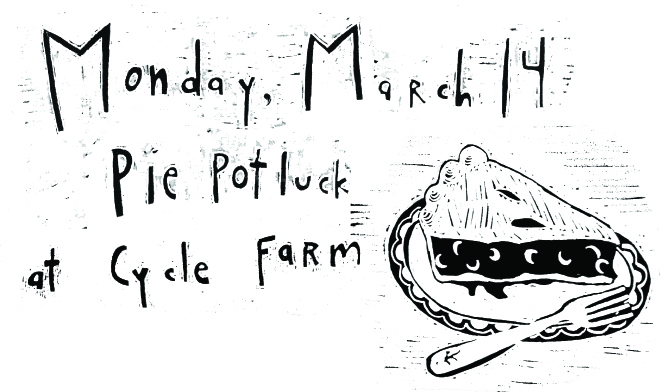 Monday, March 14th, Pi/e Day Potluck at the farm. It’s 3.14! Come by the farm for a merry potluck feast of pie! A fun group run/walk from the farm; walk starts at 5:00, run at 5:30 PM. And then back to the farm where we’ll be dishing pies at 6:00 PM(ish). Bring your favorite pie and your friends/neighbors/kiddos out to the farm for a celebration of all things magical and mathematical. Good community and good food! Saturday, December 5th, Sip & Shop at Crow Peak Brewery, beginning at 2PM. Drink local, shop local – with handcrafted tools and tasty treats with love from the farm. Show your friends and family just how much you really care: give a gift from Cycle Farm. Cycle Farm’s Farm Stand Market, every Friday throughout the summer, 4-7 PM. A seasonal assortment of produce, herbs, eggs all fresh from the farm. Our farm stand is located on the farm, at 287 Evans Lane. We look forward to seeing you there. See more about the Cycle Farm farm stand on our website here. Saturday, October 10, Annual fall harvest party and hoopla, 2-4:30PM No work, just play. We’re wrapping up our fourth season, can you believe it?! We’re so grateful for the incredible support and encouragement of our CSA members and community this summer, through all the ups and hail. Thank you all for sharing the season with us! Come by and celebrate on Saturday; sample farm-grown treats, fresh-pressed apple cider, and a flight of different potatoes and garlic varieties. Farm tour will start at 2:30. Please feel welcome to bring your friends and family, but we’d ask that you leave your good, sweet dogs at home. Wednesday, October 7th, Intro to Sauerkraut Workshop, 5:30-7:00PM Join us on the farm for a fun evening in the kitchen and explore the fine art of fermentation with kraut guru and CSA member Cis Rongstad. Learn the basics of krauting, and how to apply these methods to a variety of recipes and ingredients. Sample several different styles of ferments. Take home new recipes and know-how. Free, but space is limited for this special event, so register with us immediately! Sunday, September 27th, Fall farm work party and feasting, 4:00PM Bring your work gloves and smiles and come join us in the field as we prepare beds for garlic planting, tuck in rows with mulch, and seed cover crops for overwintering. We’ll be in the field from 4-6:30 and share a farm-fresh feast for dinner afterwards. Stay and watch the Harvest Moon lunar eclipse with us (full eclipse is just after 8:00PM). Work parties on the farm are a great chance to visit and get to know friends and neighbors; special bonus: many hands make for light work. 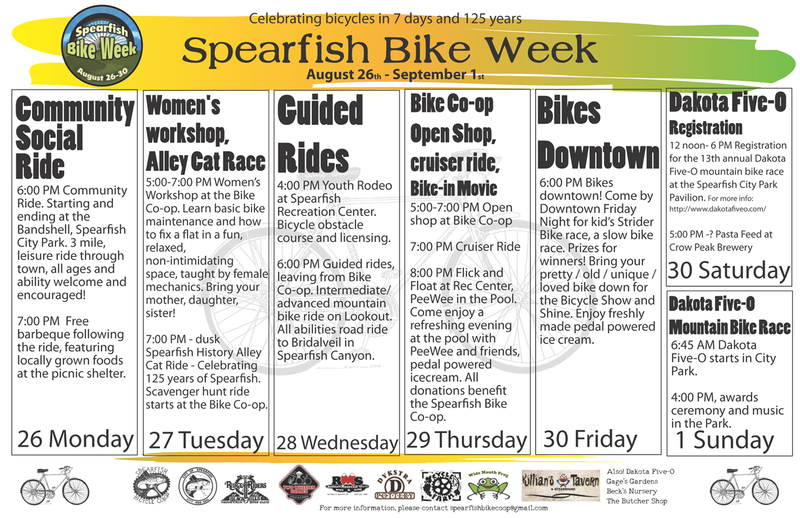 August 31st – Sept 6th, Spearfish Bike Week A whole week of bicycling merriment, a prelude to the grand Dakota Five-0 Mountain Bike Race! Saddle up on your trusty steed and pedal out to some fun community rides, workshops and celebrations. There is something for everyone. 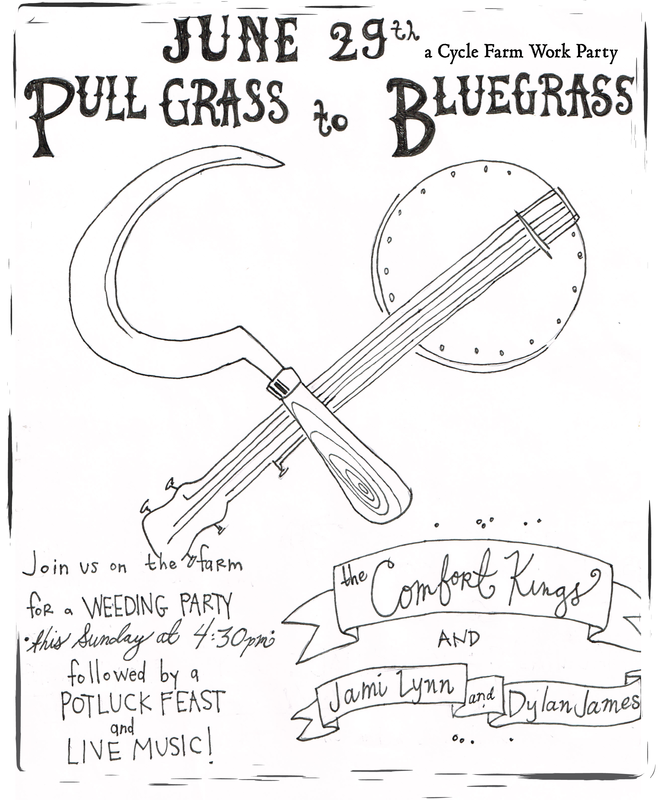 Saturday, August 15th, Weeding Party and Potluck, 5:00PM Join us at the farm for a fun evening in the field. This is a great chance to come see how your food is growing, visit with neighbors and friends, and get your hands in the soil. Weeding from 5-7. We’ll dish up grilled pizzas, an enormous summer salad feast, and birthday cake (!) afterwards. Dress for the weather, bring a dish to share. We love sharing the farm with you and sure do appreciate the help – it’s always more fun spending time in the field with friends. Sunday, June 28th, Weeding Party and Potluck, 5:00PM The timing is great to clean up the brassicas and give them a jump start over the weeds as they recover from the hail this week. Come join us for an evening of good conversation and merriment with neighbors and friends while weeding in the field. We are planning on a potluck to follow at about 7PM. Jeremy is making garlic scape foccacia. We’ll set up the grill too, if you’d like to bring something to throw on it. Saturday, June 20th, Pastured Poultry Field Day Do you know where your meat comes from? We would like to welcome you out to the farm for a special Pastured Poultry Field Day on Saturday, June 20th. Fun for the whole family, everyone is welcome. Tour begins at 2:30PM. Meet your meat. Monday, June 15th, Authors on the Farm! Join us at 6:00PM for an evening of literature on the farm with author, Sean Prentiss, and poet, Steven Coughlin. Sean is touring select spots around the west on tour with his new book, Finding Abbey: The Search for Edward Abbey and His Hidden Desert Grave. Steven Coughlin, a creative writing professor at Chadron State College, has just published a book of poetry, Another City. We are honored to host these two fine writers and hope you’ll join us for the evening! Sunday, June 14th, CSA Open House and Farm Tour A special farm tour exclusively for our 2015 CSA share members, open house from 2:00-4:30PM, farm tour begins at 2:30PM. This will be a good chance to see how your vegetables are growing, get to know your farmers, ask questions, and to mingle with an incredible group of passionate, engaged, local food and healthy land lovers. Saturday, March 14th, Pi/e Day Soirée It’s 3.1415! Come by the farm for a merry potluck feast of pie! We’ll be dishing pies at 6:30 PM. Bring your favorite pie and your friends/neighbors/kiddos out to the farm for a merry celebration of all things magical and mathematical. Good community and good food! We will not be doing the 3.14 run/walk this year, but we’re still EATING PIE. Hope to see you on Saturday. Saturday, October 11th, CSA Appreciation Harvest Party 3:00-5:00PM. What a good season it has been! We are so grateful for the bounty of the harvest and for the incredible support and encouragement of our CSA members and community throughout the summer. Thank you all for sharing the season with us! To celebrate, we’re hosting a Harvest Part on Saturday afternoon. Come by and sample farm-grown treats, fresh-pressed apple cider, and a flight of different squash and garlic varieties. Please feel welcome to bring your friends and family, but we’d ask that you leave your good, sweet dogs at home. Sunday, September 7th, Weeding Party 4:30-7:00PM. Come out and spend some time with friends and neighbors in the field, get your hands dirty. We’ll have special farm fresh treats to share. Sunday, June 29th – Weed pullin’ and finger pickin’. Come join us for a work party on the farm, 4:30-6:30PM. And stay for a potluck and live music. The Comfort Kings and Jami Lynn and Dylan James! Saturday, June 8th – CSA farm tour and open house. A special farm tour exclusively for our 2014 CSA share members, open house from 2:00-4:30PM, farm tour begins at 2:30. This will be a good chance to see how your vegetables are growing, ask questions, and to mingle with an incredible group of passionate, engaged, local food and healthy land lovers. Friday, March 14th – Pie Day! Hooray for pi and pie! Come celebrate the day with us and eat pie. 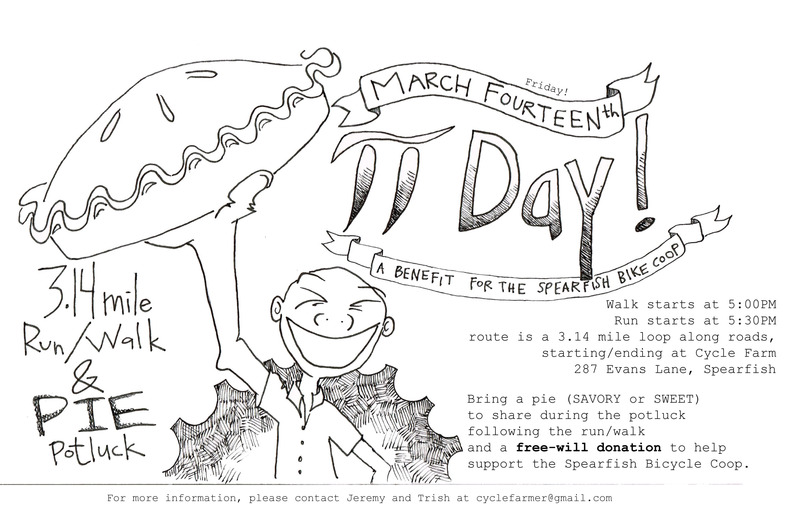 Our second annual Pi Day fundraiser for the Spearfish Bicycle Coop, a 3.14 mile run/walk followed by a pie potluck on the farm. Fun for everyone! 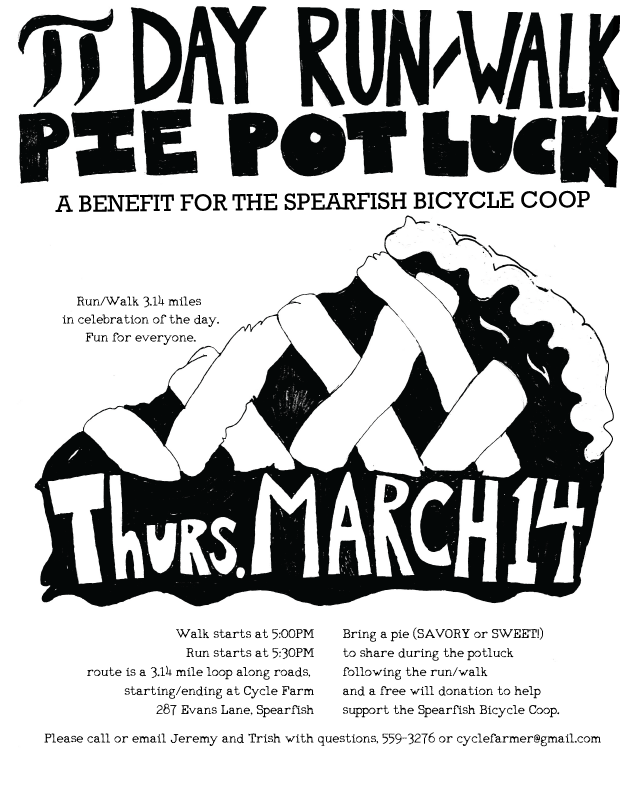 Please bring a pie (savory or sweet) to share and a free-will cash/check donation for the bike coop. Be sure to dress for the weather and don’t forget to stretch. 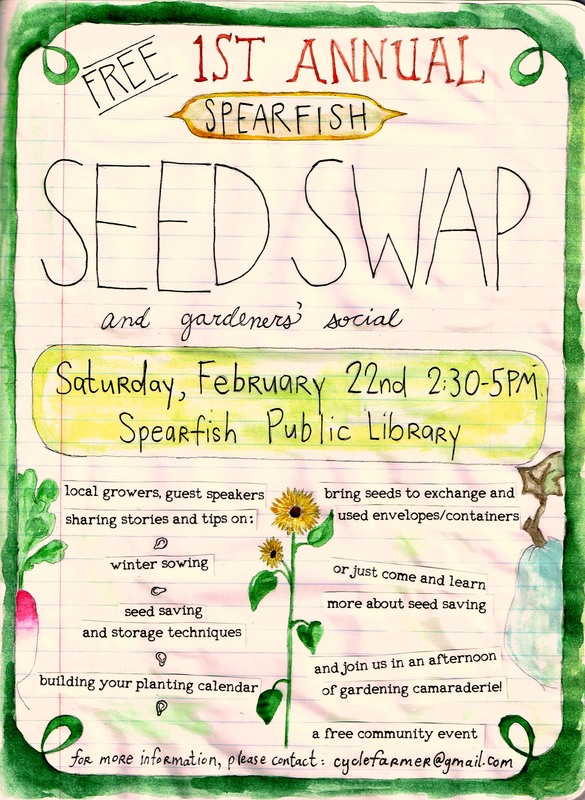 Saturday, February 22nd – Spearfish Seed Swap and Gardeners’ Social Spearfish Public Library, 2:30-5:00 PM. A chance to get together with other local growers, share seeds, stories, and ideas. Come out and SHARE, LEARN, GROW! A free event, everyone is welcome. Even if you don’t have seeds to swap, please join us for an afternoon of gardening camaraderie! 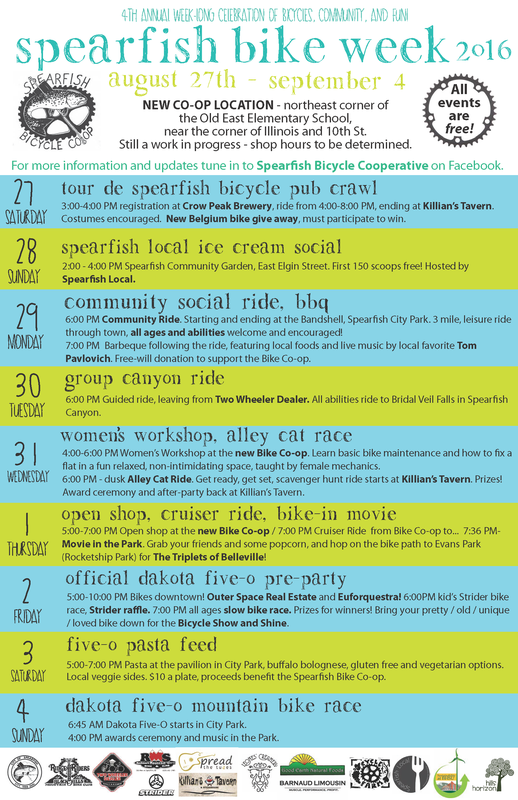 2014 Cycle Farm Events Calendar Come one, come all! Check out this calendar of fun farm and community events, educational workshops, plantings, work parties, and celebrations. So much to look forward to! Some of these dates are tentative and TBAs, please check back here for schedule updates and further details. Also, if you would like to be added to our farm friends email list, please let us know. 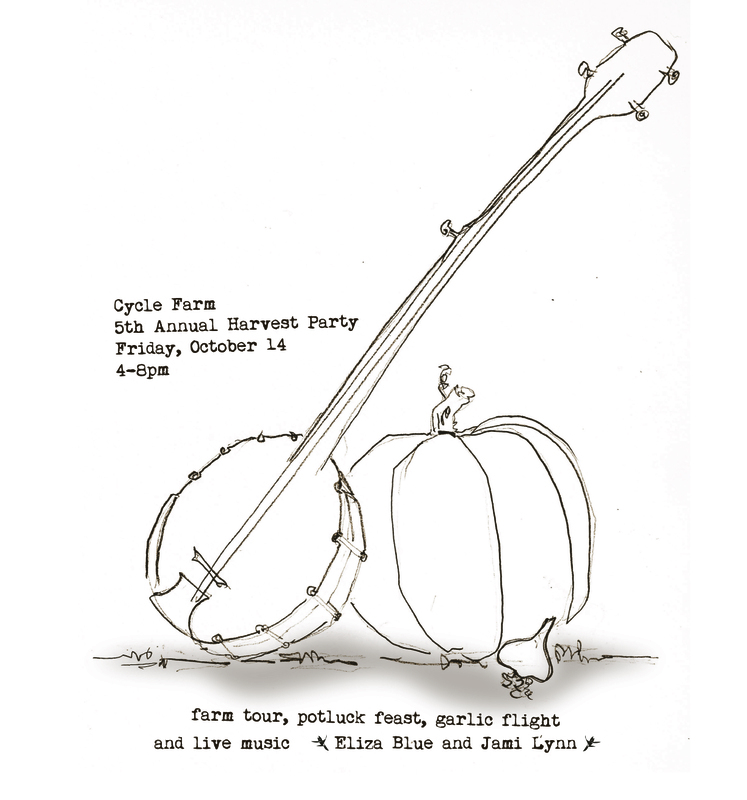 Saturday, October 12 – CSA Appreciation and Harvest Party 2-5PM, Merriment, feast, and open house at the farm. Bring your family, let’s celebrate a wonderful season together. Horseshoes, fresh pressed apple cider, and a delicious farm-grown feast. We so appreciate having had a chance to grow your food this season – thank you for all your support! Sunday, July 14 Weeding Party 6:00 PM to dusk. 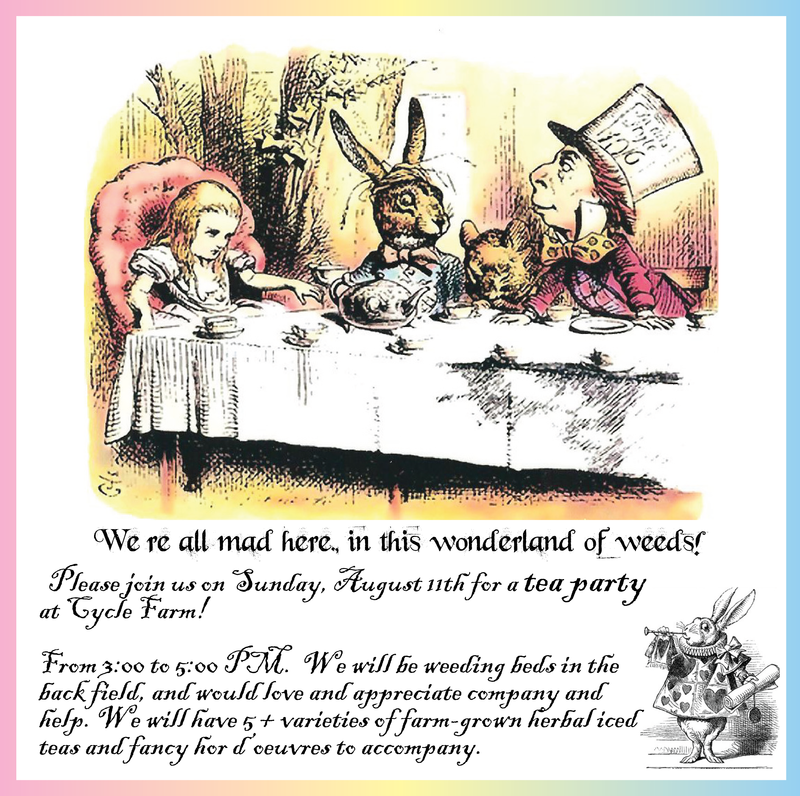 Come join us for our very first Evening Weeding party at the farm! Weeding is heaps more fun with a glass of wine and good conversation. And we need help to rescue our potatoes from the bindweed. Bring yourself, bring your friends, if you like, bring a bottle of wine to share. We’ll have wine and dessert, nonalcoholic refreshments too. We encourage responsible drinking. And weeding! Sunday, June 2nd – 2013 CSA Social and Farm Tour A preseason farm social for our wonderful CSA members! Bring your family for a fun afternoon at the farm. This will be a good chance to see how things are growing, ask questions about CSA logistics, and get to know your fellow CSA farm share members. Thursday, March 14 pi day – pie day celebration. A 3.14 mile run/walk loop from the farm, followed by a pie potluck! Bring a pie – savory or sweet – to share. 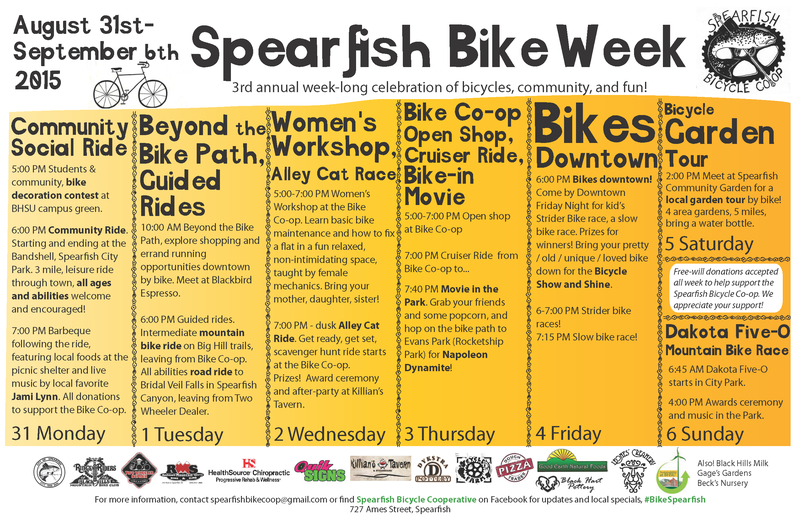 This event is also a benefit for the Spearfish Bike Coop, please bring a donation, if you can. Saturday, October 13 Harvest Party! 3:30-7:00PM. No work – all play. Pot-luck party to celebrate our first season. Everyone is welcome. We will have a farm tour, horseshoes, a tasting of 9 different winter squash varieties, and of course, a glorious feast together. Cycle Farm at the Market in the Park We’ll be at the Spearfish City Park Saturday mornings 9AM-noon, from the beginning of September through October. 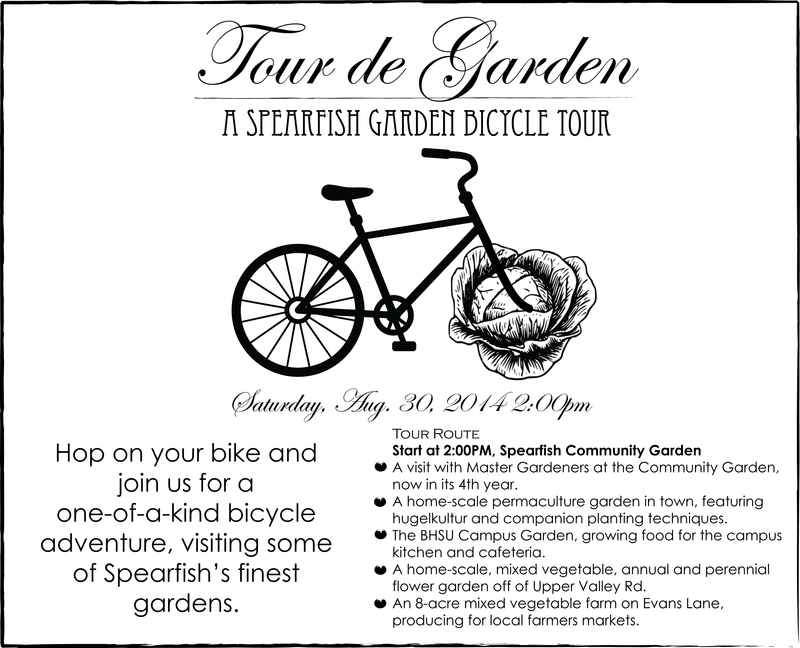 All produce hand picked with love, fresh from the farm, and delivered to market by bicycle. We look forward to seeing you there. A celebration of storytelling and the land. Join us for a weeding party at the farm with a special guest reading by Kent Meyers, a local author and professor at BHSU. This is a chance to enjoy not just the company of neighbors and friends, the early morning bird songs, coffee and snacks, but also a literature reading and discussion to follow. 7-11AM, bring your family and friends – we have weeds enough to go around. And around. And we so appreciate the help. Saturday August 11, BREAKFAST IN BED at the farm! Vegetable bed, that is. We’re going to beat the heat and tackle the weeds early – come join us for a weeding party and breakfast in the vegetable beds. 7-11AM, we’ll provide coffee, tea, juice and delicious breakfast treats! We need your help: we have lots of weeds and want to party. Saturday July 14th, Weeding Party Bonanza! back by popular demand and necessity. 9:00 AM to noon, followed by a potluck barbque. It was so much fun the first time, let’s do it again. We’ll be hosting a flight of garlic during lunch. Come taste 3 delicious varieties: Music, Korean Purple and Persian Star – fresh (in pico de gallo) and roasted (w just olive oil). Cycle Farm at the Market. Come out to the Spearfish Farmer’s Market on Friday evenings at 5:00 PM at Downtown Spearfish on Main Street. The market runs weekly from June through August. All produce hand picked with love, fresh from the farm, and delivered to market by bicycle. We look forward to seeing you there. Saturday June 9th, Weeding Party Bonanza! 9:00 AM to noon, followed by a potluck barbque. Come one, come all! This is not to be missed, fun for the whole family. Bring a date. This is a great chance to come visit the farm, see what’s growing, and meet your neighbors and your farmers. We have weeds and need your help. BIG FUN. Stay tuned for more fun times at Cycle Farm.